ThomasNet and the Institute for Supply Management have announced their annual 30 Under 30 Rising Supply Chain Stars for 2015. Delivering more than $10 million in cost savings, spearheading a new global distribution model, and driving a startup’s exponential growth are among the outstanding personal achievements of young professionals today named winners in the ThomasNet and Institute for Supply Management (ISM) ‘30 Under 30 Rising Supply Chain Stars Recognition Program‘. Founded in 2014, the 30 Under 30 Rising Supply Chain Stars programme is designed to recognise individuals who have demonstrated leadership, innovation, collaboration, and other outstanding attributes. This programme provides role models and illustrates supply chain and procurement as a viable and exciting career choice. Millennials are expected to comprise 75 percent of global employees by 2025. With an average age of 27, the 2016 supply chain superstars span industries ranging from manufacturing to education, financial services, medical devices, information technology, oil and gas, and government. Many are driving improvement in areas that matter to them and benefit society, such as sustainability. 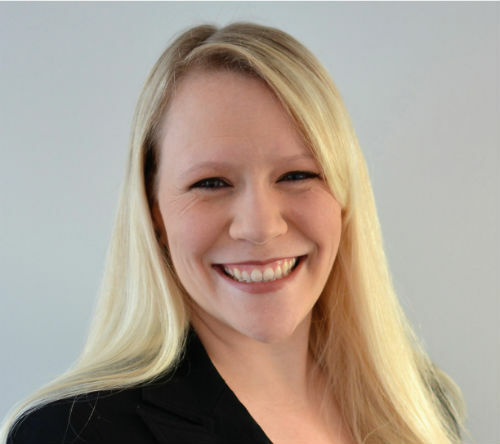 Recognised as this year’s Megawatt Star: Amy Georgi, 30, a program manager in supply chain acquisitions and integrations with Fluke Electronics, a Danaher Company, based in York, Pennsylvania. Each rising star will receive a one-year membership to ISM; admittance to ISM2016, May 16-18 in Indianapolis; and a free THOMASNET.com Supplier Discovery Lunch and Learn session for them and their colleagues. In addition, Georgi and her nominator will win an all-expense-paid trip to the ISM conference. For profiles and photos of the winners, please visit www.thomasnet.com/30under30. Institute for Supply Management (ISM) serves supply management professionals in more than 90 countries. Its 50,000 global members manage $1 trillion in corporate and government spend annually. Founded in 1915 as the first supply management institute in the world, ISM is committed to advancing the practice of supply management to drive value and competitive advantage, contributing to a prosperous and sustainable world. ISM leads the profession through the ISM Report On Business®, its highly regarded certification programs and the ISM Mastery Model™. For more information, visit: www.instituteforsupplymanagement.org. THOMASNET’s flagship product, THOMASNET.com, is industry’s go-to platform for supplier discovery and sourcing for OEM and MRO products, as well as custom manufacturing services. This free platform serves procurement professionals, engineers, plant and facility management and other buyers from corporations, educational institutions, government agencies, the military and small businesses. It also serves manufacturers, distributors, and service companies throughout North America who want to get found by these buyers.